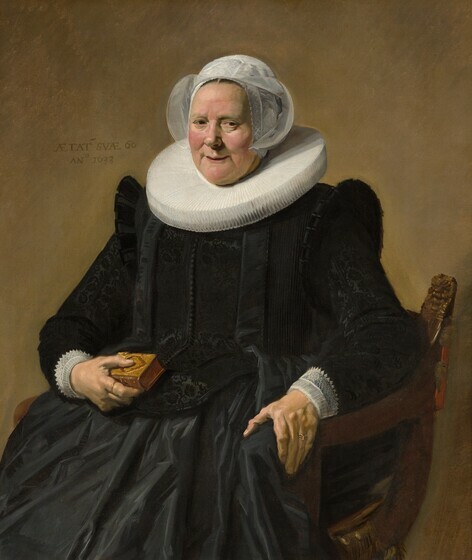 Frans Hals, Portrait of an Elderly Lady, 1633, oil on canvas, Andrew W. Mellon Collection, 1937.1.67. Loaned to the exhibition Masterpieces of Art (April 30–October 31, 1939) at the New York World’s Fair. 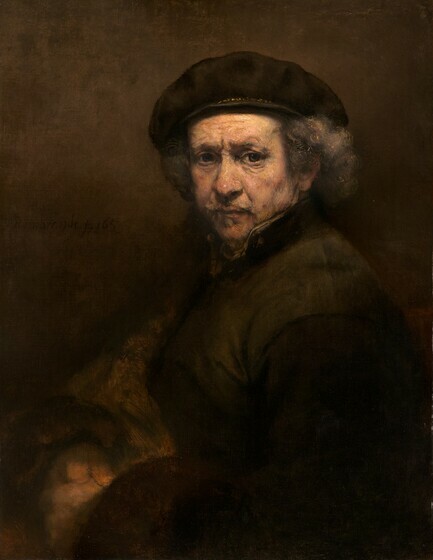 Rembrandt van Rijn, Self-Portrait, 1659, oil on canvas, Andrew W. Mellon Collection, 1937.1.72. Loaned to the exhibition Masterpieces of Art (April 30–October 31, 1939) at the New York World’s Fair. 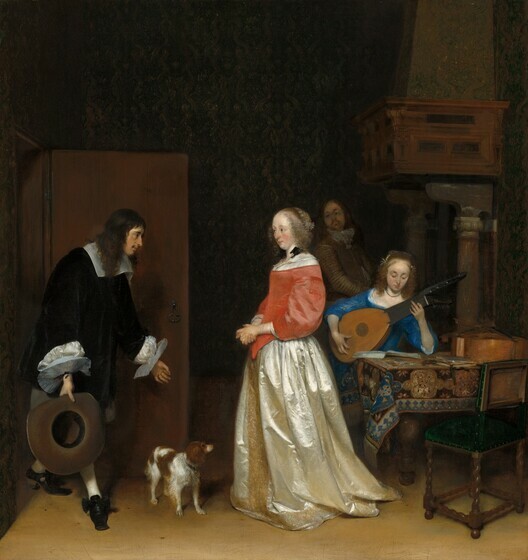 Gerard ter Borch the Younger, The Suitor's Visit, c. 1658, oil on canvas, Andrew W. Mellon Collection, 1937.1.58. Loaned to the exhibition Masterpieces of Art (April 30–October 31, 1939) at the New York World’s Fair. 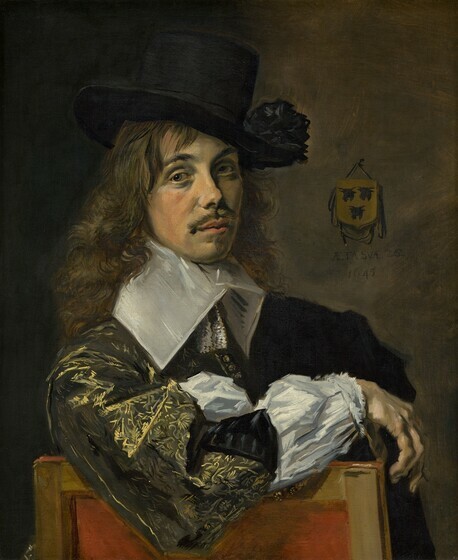 Frans Hals, Willem Coymans, 1645, oil on canvas, Andrew W. Mellon Collection, 1937.1.69. Loaned to the Golden Gate International Exposition (February 1–December 1, 1939) in San Francisco. 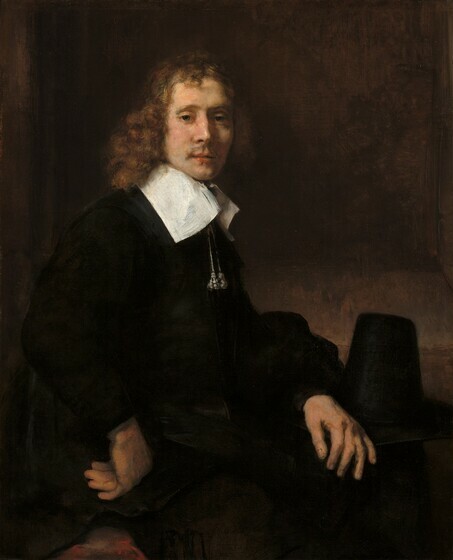 Rembrandt van Rijn, A Young Man Seated at a Table (possibly Govaert Flinck), c. 1660, oil on canvas, Andrew W. Mellon Collection, 1937.1.77. Loaned to the Golden Gate International Exposition (February 1–December 1, 1939) in San Francisco. 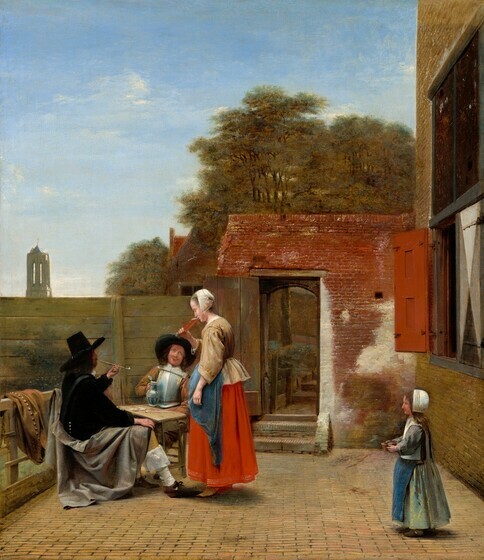 Pieter de Hooch, A Dutch Courtyard, 1658/1660, oil on canvas, Andrew W. Mellon Collection, 1937.1.56. Loaned to the Golden Gate International Exposition (February 1–December 1, 1939) in San Francisco.